RIVAS, Nicaragua — Canal protesters aren’t the only ones clashing with police in Nicaragua. As the Nicaraguan government and Chinese company Hong Kong Nicaragua Canal Development Investment Co. (HKND) move forward with the construction of a $50 billion, 300-kilometer interoceanic canal, journalists covering what has been promised as the world’s largest civil engineering project have been harassed, detained and even robbed by police. According to the independent Nicaraguan news magazine Confidencial, Belgian photojournalist Michéle Sennesael was detained in Nicaragua while reporting on the project on Dec. 21, the day before the canal’s official groundbreaking ceremony. Sennesael told Confidencial that she previously was stopped several times by police, but had no real trouble until she arrived in El Tule, 400 kilometers southeast of the capital. El Tule was one of the sites of recent violent protests by landowners who fear their properties will be seized and other canal opponents. Some were severely beaten and spent days in jail. Sennesael says she was interrogated by police after presenting a copy of her visa, and was then told she could leave. But when she tried to board a bus to Managua, police again pursued her. I was waiting for the bus in an eatery called ‘La Gata’ when [the police] came to arrest me again. I was able to board a bus to Juigalpa, and got as far as the dam, but five minutes later the police stopped the bus and forced me to get off. After taking her to two different police stations, police raided Sennesael’s hotel room, and seized camera gear worth €10,000 and all of her photos. After spending the night locked up in an immigration cell, authorities drove her to the Managua airport the next day where she was deported on Dec. 22. She says she was never given a reason for her arrest. That same day, three Spanish journalists reporting for Televisión Española were detained along with the Nicaraguan president of the environmental organization Fundación de Municipios de Rivas, in Tola, 14 km west of Rivas. 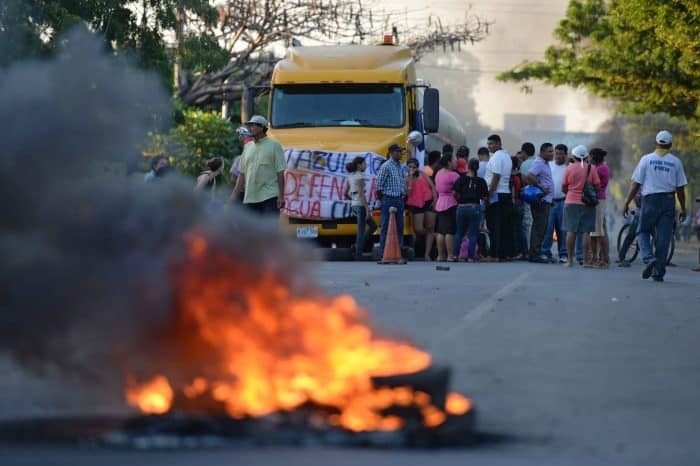 Marcos López, the team’s lead reporter, told the Nicaraguan daily La Prensa that his team was filming in Brito, where the canal was to break ground the next day, and on their return trip they were stopped at several police checkpoints. They were detained for an hour and a half at one stop, where they said police harassed them and took the keys from the taxi in which they were traveling. They were later released. According to the Nicaragua Dispatch, foreign press invited to the event were told to wait at a hotel in Managua for transportation to the ceremony, but they were never picked up. Those who made their way to the site on their own were turned away by police. While reporting for The Tico Times, I encountered a similar experience near Rivas, where I was stopped at a military checkpoint at the entrance to Brito on Dec. 21. I also was stopped at every checkpoint thereafter. Then, after a sunset trip to Playa La Virgen on the shores of Lake Nicaragua, I was halted at a police checkpoint and told a search had been ordered for my car because I was seen taking “suspicious photographs.” A police officer boarded my car and ordered me to drive to the Rivas police station where I was questioned and released. The following day I was not permitted entry to the canal groundbreaking ceremony and was given no explanation. I was then detained at the final passport check at the Peñas Blancas border exiting Nicaragua into Costa Rica. There I was held in a detention room while an officer meticulously reviewed my passport. I was released after a half hour, but was never told why I was held. This pressure on journalists has been coupled with a glaring lack of transparency regarding many details of the massive project. Already weeks into initial construction, HKND has yet to release any of the required environmental or social impact assessments to the public. As The Tico Times reported in December, many of the estimated 30,000 property owners who could be displaced by the canal have not been informed of what will happen to their land, where they will be relocated and how much compensation they will receive, if any. That lack of transparency is fueling the discontent, not only in Nicaragua, but also abroad. On Tuesday, the U.S. Embassy in Managua released a statement bemoaning all of the secrecy, AFP reported. “The embassy is very worried about the lack of information and transparency that there has been and that persists in many of the project’s important aspects,” the embassy statement said. 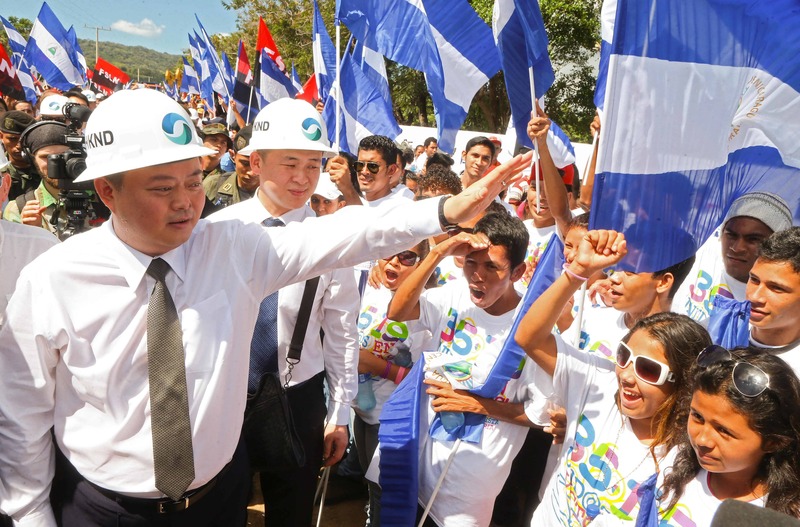 This is the first time that the United States has released a statement on the canal since the Nicaraguan government granted the project concession to HKND.